Research Center for Climate Change—University of Indonesia will be conducting the second batch of certificate training series on August and September 2015. These trainings will provide practical skill and conceptual understanding which are needed to help reduce deforestation rate and forest conversion in every aspects. 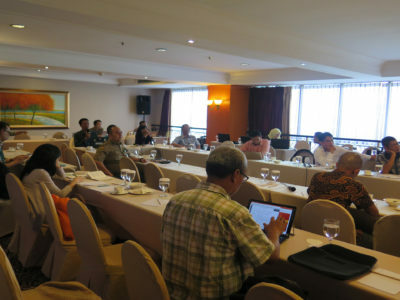 The training, which also conducted by Center for Environment, Economy, and Social (CEES)—Columbia University and funded by USAID, is aimed to facilitate forest management activities in Indonesia. The training series will be carried out by the experts and practicians from each topics. RCCC UI hereby presents the training on reptile taxonomy with an expert on herpetology Thasun Amarasinghe. He is also an editor-in-chief of Taprobanica, the journal of Asian biodiversity. There are two levels of training: (1) Basic and (2) Advanced. An environmental strategic, economy, and social which is effective, efficient, and sustainable to help reducing forest conversion and carbon emisson—known as Reducing Emission from Deforestaion and forest Degradation (REDD)—has been taught by many trainers in various places. 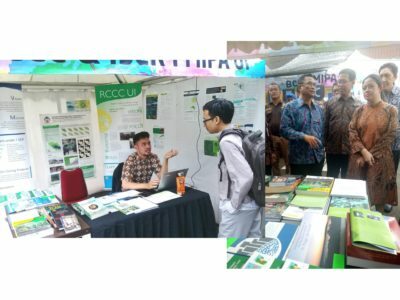 Basically, the strategy provides a carbon-trade mechanism to reduce forest conversion along with carbon emission produced from forest logging. Even though REDD mechanism has been available as a concept for time being, the execution to achieve realistic result, reducing forest conversion, conserving biodiversity, and considering the rights of local forest community was proven to be difficult. The GIS training which has been conducted by RCCC UI was aimed to introduce the GIS as a software which is easy to use and could be utilized as spatial decision support system (SDSS) to help making decision upon spatial analysis assessment. GIS and remote sensing are important field of study for climate change research in Indonesia.